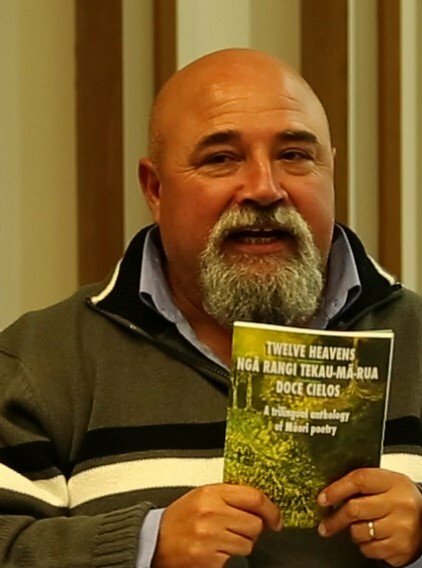 Twelve Heavens, Doce Cielos, a poetry book launched on 12 May 2016, is a ground-breaking cultural collaboration between Aotearoa’s Latin American community and tangata whenua. 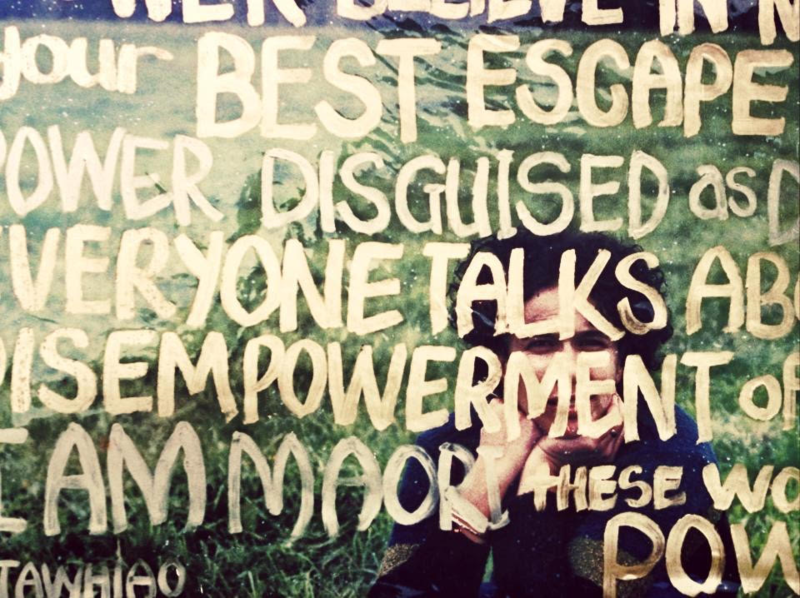 The poems are written in English, Te Reo and Spanish by eight Māori poets. The book is illustrated by Tūhoe artist Tame Iti and published by Auckland’s Letras Latinas Publishing House. This unique publication is thought to be the first book of Māori literature translated into both Spanish and English. It’s also the first of three cultural collaborations between Auckland’s Latin American community and Māori. “It’s all part of the conversation,” says Tame Iti who talks about the twelve heavens as different levels of consciousness. 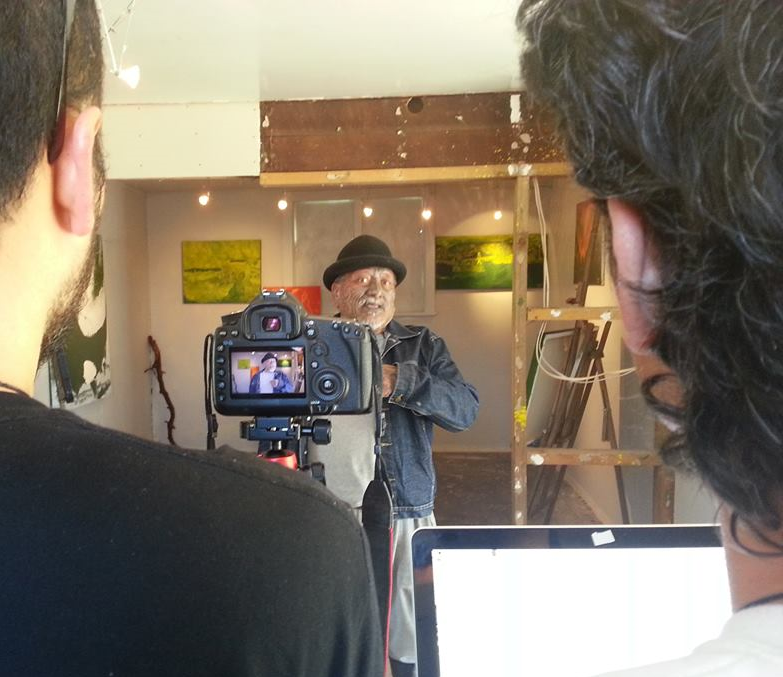 The other two cultural collaborations are a documentary about Tame Iti’s gallery in Taneatua and a short film about a Spanish speaking tipuna which is currently in production. One of the contributors is writer, filmmaker and visual artist Tracey Tawhiao (Ngāi te Rangi, Whakatōhea, Tūwharetoa). 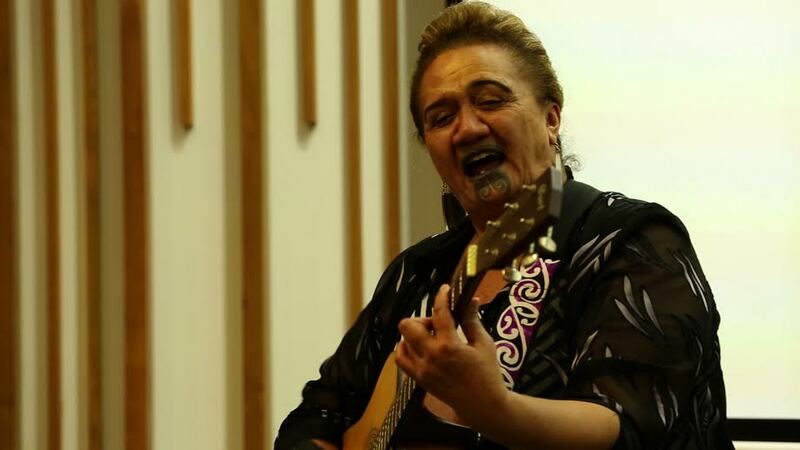 “Poetry is a soul language and it’s a privilege to have my poetry in English translated into Māori and Spanish because both are soul languages too,” she says. Chilean poet and member of Letras Latinas, Esteban Espinoza says Twelve Heavens, Doce Cielos offers Latin Americans an opportunity to see Te Ao Māori through poetry.